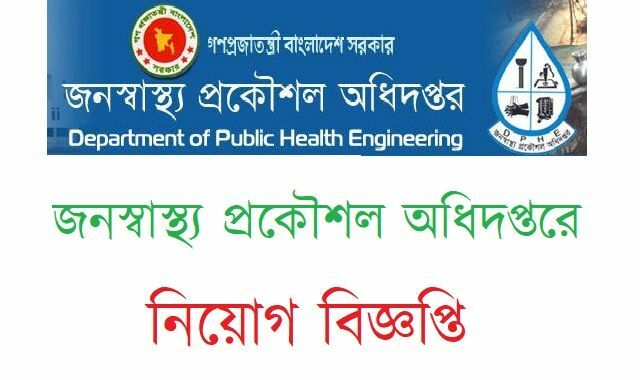 This article is about Public Health Engineering Job Circular 2017. Department of Public Health Engineering published DPHE Job Circular in Daily Jugantor Newspaper on 06th July 2017. And the advertisement came online on 08th July 2017. You can see this circular in Online Portals and also from our site. There is total 218 (Two Hundred and Eighty) empty post. The posts name is Tubewell Mechanic. Every permanent citizen of Bangladesh can apply for these posts without Magura, Narail, Comilla, Barisal, Patuakhali, Jhalkathi, Rangamati, Bandarban, and Khagrachari. The education qualification for these post is SSC (Secondary School Certificate) / Equivalent pass. And your age must be between 18-30. And also the salary range is 9,000 to 21,800 Tk. Besides, Google you can find All Latest BD Job Circulars in our website. So, stay connected with us. Source: Daily Jugantor Newspaper and Online Portals. Job Place: Anywhere in Bangladesh. Application Website: In the advertisement. 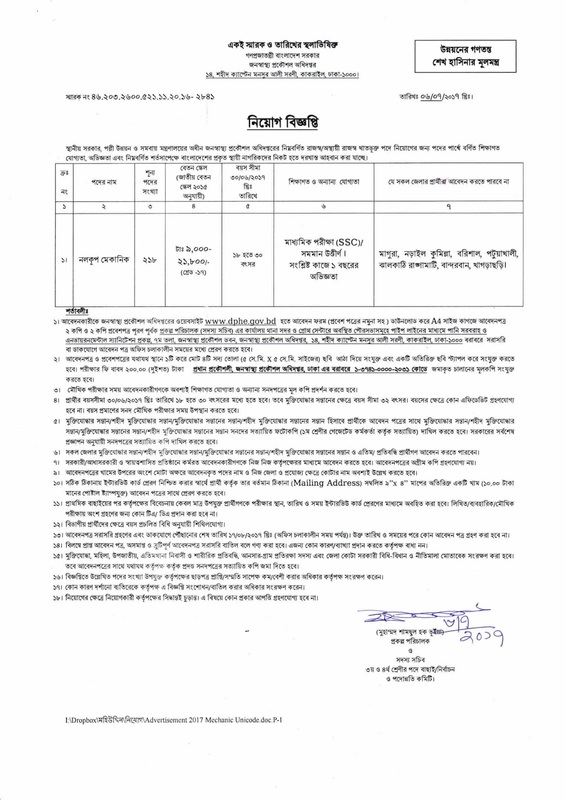 If you want to Download this advertisement or application form, you can visit their official website www.dphe.gov.bd. Department of Public Health Engineering is a Bangladeshi Government Organization and controlled by The Ministry of Local Government, Rural Development, and Co-operatives. Sudhir Kumar Ghosh is the current Chief Engineer of this department. If you have any questions, please comment below. And if you like this post, please share this post with your friends. People Also Searched by DPHE Job Circular, Department Of Public Health Job Circular, Download DPHE Job Circular.